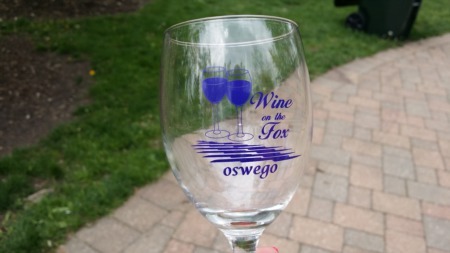 Buyer Demand Surging As Spring Market Begins Wine on the Fox - Oswego IL Oswego Bunny Hop - Downtown Oswego IL Oswego Community Recycling Event Real Trends Top 500 and Swanepoel Mega 1000 - Top of the Charts! Mortgage rates in biggest weekly decline since 2009 after Fed announcement Domestic Teams at eXp Realty SHARE one 16k Cap! #justlisted: New Listings This Week #openhouse: Open Houses This Weekend Is Your Home Priced to Sell Immediately? eXp World Holdings Reports Fourth-Quarter and Full-Year 2018 Financial Results The #1 Reason to List Your Home in the Winter Months is Less Competition! 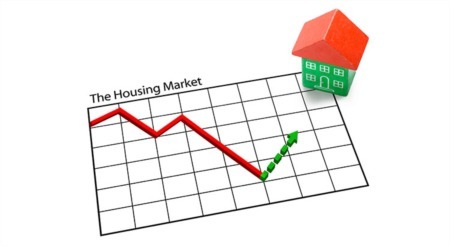 Harmonic HVAC (Special Offer Inside) Mortgage rates fall to one-year low! #pricedrop: Yorkville Price Reductions this Week #pricedrop: Plainfield Price Reductions this Week #pricedrop: Oswego Price Reductions this Week #pricedrop: Naperville Price Reductions this Week #pricedrop: Montgomery Price Reductions this Week #pricedrop: Geneva Price Reductions this Week #pricedrop: Bolingbrook Price Reductions this Week #pricedrop: Aurora Price Reductions this Week #justlisted: New Listings in Yorkville This Week #justlisted: New Listings in Plainfield This Week #justlisted: New Listings in Oswego This Week #justlisted: New Listings in Naperville This Week #justlisted: New Listings in Montgomery This Week #justlisted: New Listings in Geneva This Week #justlisted: New Listings in Bolingbrook This Week #justlisted: New Listings in Aurora This Week #openhouse: Yorkville Open Houses This Weekend #openhouse: Plainfield Open Houses This Weekend #openhouse: Montgomery Open Houses This Weekend #openhouse: Geneva Open Houses This Weekend #openhouse: Bolingbrook Open Houses This Weekend #openhouse: Naperville Open Houses This Weekend #openhouse: Aurora Open Houses This Weekend #openhouse: Oswego Open Houses This Weekend Why it makes NO SENSE to wait until spring to sell your home! The KonMari Method: Helping You Prep Your House For Sale How to Get a Better Perspective on Affordability Whose Mortgage Do You Want to Pay? Yours or Your Landlord’s? eXp Realty Announces January 2019 ICON Agents 4 Proven Ways Real Estate Can Build Sizable Family Wealth What Does a Home Inspector Look For? A Whole Lot! Is Student Loan Debt a Threat to Homeownership? Promote Your Business For FREE on Small Business Spotlight Oswego Festivals and Events eXp Realty Exceeds 16,000 Agents eXp Realty Shareholder Summit 2019 Step 2 to Buying a Home: Get Preapproved For a Mortgage Step 1 to Buying a Home: Find a Realtor Steps to Buying Your Home Step 29 To Selling Your Home: Review Us! Step 28 To Selling Your Home: Closing Day! Step 27 To Selling Your Home: The Final Walk Through Step 26 To Selling Your Home: Mortgage Approval and Clear to Close Step 25 To Selling Your Home: Hire a Cleaning Person Step 24 to Selling Your Home: Cancel or Transfer Your Homeowner’s Insurance Step 23 To Selling Your Home: Schedule your utilities to end Step 22 To Selling Your Home: Hire Movers and Start Packing! Step 21 to Selling Your Home: Schedule the Closing Date on your Calendar Step 20 To Selling Your Home: Attorney Review and inspection Time Period Closes Step 19 To Selling a Home: The Appraisal Occurs Step 18 To Selling Your Home: Attorney Review Step 17 To Selling Your Home: The Home Inspection Step 16 to Selling Your Home: Congratulations, we have an accepted offer! Now what? Step 15 To Selling Your Home: We couldn’t come to an agreement. Now what? Step 14 To Selling Your Home: We’ve received an offer! What does it mean? Step 13 To Selling Your Home: The First Week Your Home Is On the Market Step 12 to Selling Your Home: Time for Showings! Step 11 To Selling Your Home: Putting your listings on Zillow, Trulia, Redfin, Realtor.com etc Step 10 To Selling Your Home: My property is live in the MLS. What now? Step 9 to Selling Your Home: Hire a Real Estate Attorney Step 8 to Selling Your Home: We Will Pre-Market Your Home Step 7 to Selling Your Home: Professional Photography Step 6 To Selling Your Home: Deep Clean Step 5 to Selling Your Home: Repair Time Step 4 To Selling Your Home: Conduct a Pre-Sale Home Inspection Step 3 to Selling Your Home: Time to Declutter and Stage Your Home! Step 2 to Selling Your Home: You’ve Hired a Realtor. Now What? Step 1 to Selling Your Home: Find a Realtor Steps to Selling Your Home eXp Realty Named a Best Place to Work for Second Year in a Row eXp Realty taps Keller Williams Realty vet to lead US growth eXp Realty Exceeds 15,000 Agents eXp World Holdings Reports Record 3Q18 Results eXp Realty Now Open in All 50 U.S. States Rich & Karen Ayers receive ICON Agent Award at eXp Realty EXP agents own 15%-20% of company stock: CEO Glenn Sanford eXp Realty Surpasses 12,000 Real Estate Agents Across North America eXp World Holdings is Trading on NASDAQ Best Christmas Lights in the Western Suburbs of Chicago! Let Your Tenants Send Your Children to College eXp Realty Surpasses 10,000 Real Estate Agents Across North America eXp Realty ranks No. 7 in The 2018 REAL Trends 500 Churchill Club HOA Docs and Condo Assoc Declarations and Crime Free Lease Addendum A Few More Reasons Why We Don't Hold Open Houses Why The Ayers Team doesn't promote the traditional Open House Common Tax Deductions for Rental Properties 8 Tips to Price Your Home Right Churchill Club Floor Plans - Oswego IL Churchill Club HOA Contact Info 5 KEY Market Factors When Selling Your Home What is the Best Month to List Your House for Sale? Pricing Your Home Competitively Our Commitment to You Benefits of a Pre-Sale Home Inspection eXp Realty Exceeds 8,000 Real Estate Agents Across North America Why Choose The Rich Ayers Team 2 Month Plan to Sell Your Home Experience Matters Is Getting a Home Mortgage Still Too Difficult? Why You Should Consider Selling in the Winter Common Things to Look Out for Before Buying Your Dream Home Will Increasing Mortgage Rates Impact Home Prices? eXp Realty Surpasses 6,000 Real Estate Agents Across North America Holiday Happenings in the Western Suburbs!